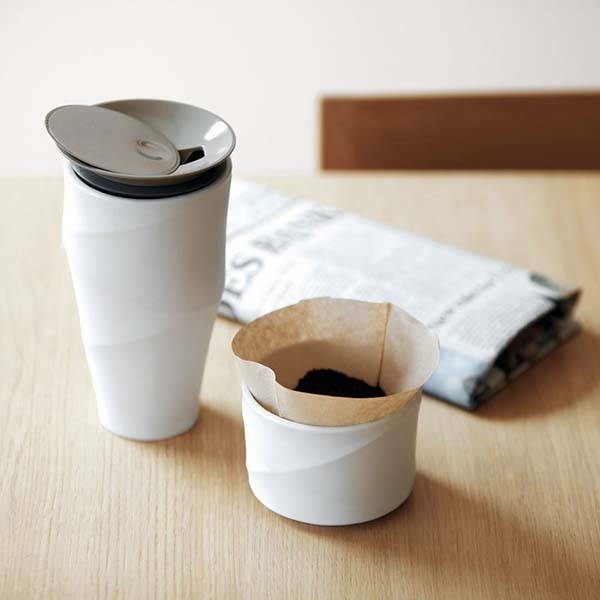 With a custom coffee dripper, the Wave Commuter porcelain mug lets you brew your favorite coffee with ease, and the texturized exterior provides comfortable touch and elegant aesthetics. The Wave Commuter is a beautifully designed and versatile coffee mug that measures 6.7 inches high by 3.5 inches diameter. As we can see from the images, the mug shows off a minimalistic, zen-style appearance design, and the unique texture on the soft-to-touch surface lets you communicate with the mug when you gently hold it on your hand. Meanwhile, the mug is made out of double walled porcelain, and the polished inside ensures you can clean it with ease. 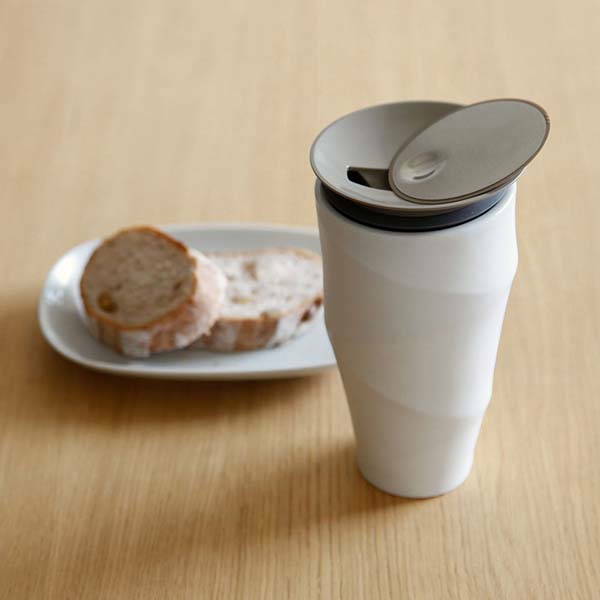 The porcelain mug can hold 10 ounces of liquid goods, and unlike plastic and aluminum, the porcelain doesn’t stain the flavor of your coffee or tea. The double walled design keeps your beverage warm or cold for a long time, and similar with the lotus porcelain tea cup, the mug also features a slidable lid to prevent accidental spills. Moreover, the mug comes with a custom coffee dripper that perfectly fits on the top of the mug so you can conveniently brew your favorite coffee with a paper filter. 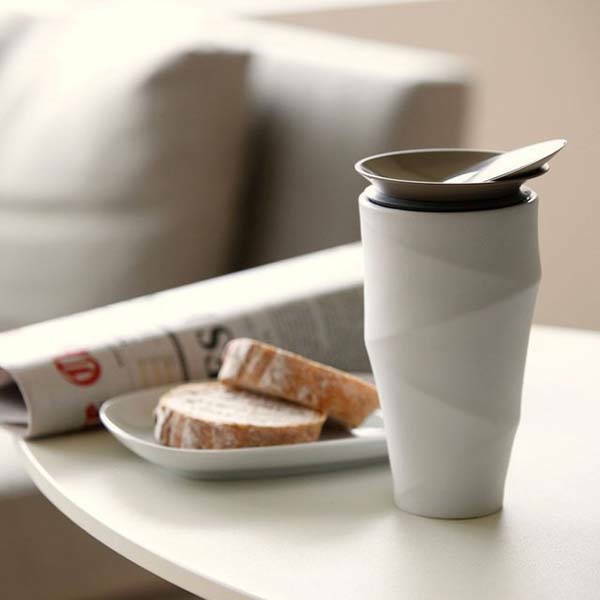 The Wave Commuter porcelain mug is priced at $65 USD. If you’re interested, jump to Fancy for its more details.